Hi friends! There has been quite a gap since my last post. Some other engagements kept me away from writing my blog post. But I am back. And this time I bring to you, one of the most scenic places which has been least explored but provides a memorable and exhilarating experience as far as traveling is concerned. 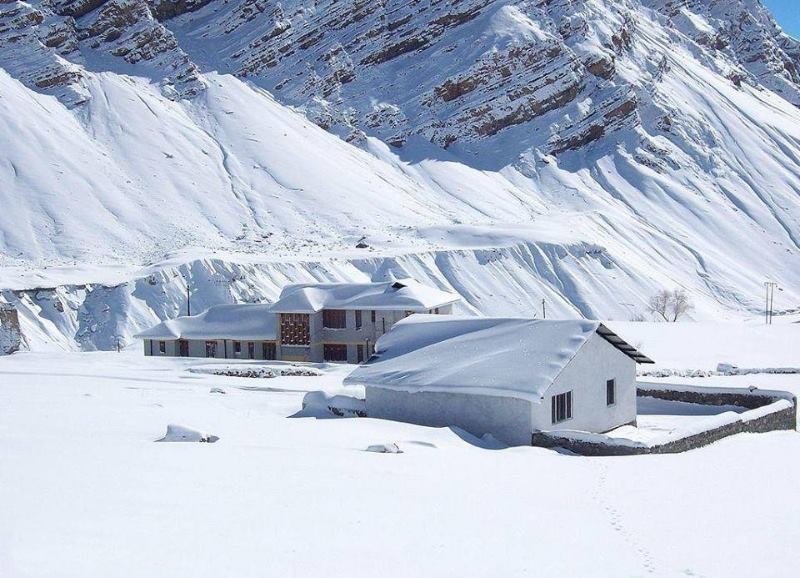 Chitkul is one place which will mesmerize you with it's beauty and simplicity. 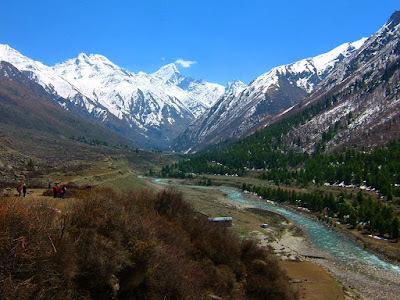 Chitkul, situated in Kinnaur valley of Himachal Pradesh is a small village and is supposed to be the last inhabited village in India on the Indo - Tibetan border. The Indian side of the road ends at Chitkul. Located on the banks of Baspa river, it is the last point in India where one can travel without any permit. 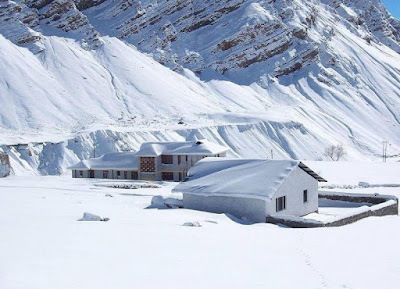 Chitkul is situated at an altitude of 3450 m (11300 ft) and is clad in snow throughout the winters. Once you enter the the village, you will be greeted with enchanting beauty, widespread lush green landscape and serene and calm environment. 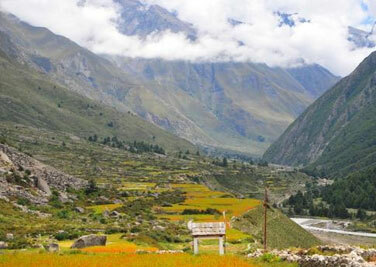 Mountains, river, Orchids, Grasslands and jungle all combine to give Chitkul, it's own uniqueness. Your first sight of the village will take you back in time. To a distant past. Chitkul has no mobile coverage, no ATMs and no markets. There are a few small home run shops, selling basic necessities. But more importantly, it has peace and serenity. Houses in Chitkul are made with slate or wooden plank roofs, which is a chief attraction for any visitor, though of late some schools and army barracks have started using tin roofs also. Villagers believe that slate roof protects them from earthquake and lighting. With an estimated population of around 600, it is a very sparsely populated village and hence provides a very peaceful ambiance. People here are generally devoted to the Goddess of the village, whom they believe to be very powerful. 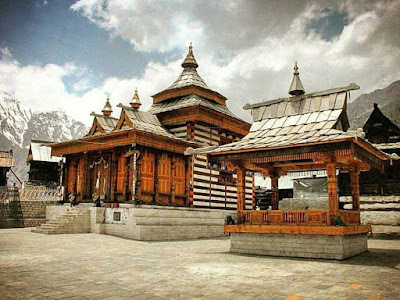 They believe that their Goddess is related to the deity of Gangotri and even now they carry their Goddess on foot through high Himalayan ranges to Gangotri. When you are in Chitkul, you can feel to be a part of nature. You can walk around the village to explore it and then come back to the center, where the temple of Goddess Mathi is situated. Those into photography will have ample opportunities to capture some of the rare shots. The villagers are very simple and friendly and whenever you encounter any on your way, they will greet you with a smile. 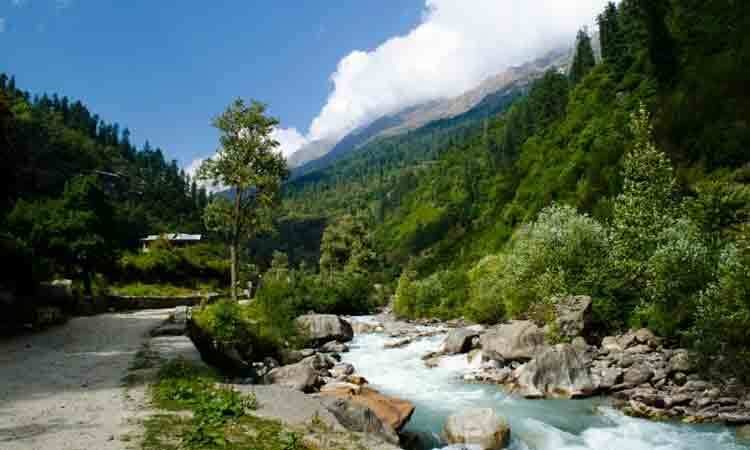 A stroll on the bank of Baspa river or in the woods, is an ideal way to unwind and rejuvenate yourself. There are many camp sites by the side of Baspa river. 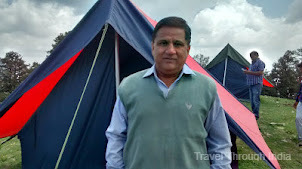 You can enjoy camping also.The natural beauty that Chitkul is blessed with, is unique in it's own way and can't be compared with any other place. Many trekking options are also available here. And there is plenty of natural treasure around here to hold you back. Chitkul is about 575 km(360 mi) from Delhi. From Delhi, you can reach Shimla, Reckong Peo or Sangla. From there, you can either hire a taxi or catch a Himachal Roadways bus to Chitkul which is 28 km(17.5 mi) from Sangla. While taxi is the fastest mode to reach Chitkul, HRTC bus is the most economical. Drive from Sangla to Chitkul is an experience in itself. You can see snow clad Himalayan peaks on one side of the river Baspa while on the other are orchards and wooden houses, which makes for an eye popping scenery. Chitkul has a few small hotels and guesthouses, along with some homestays run by local villagers. These are a little costlier. So if you prefer, you can stay at Sangla and drive down to Chitkul. Also, there are not many eating options here. 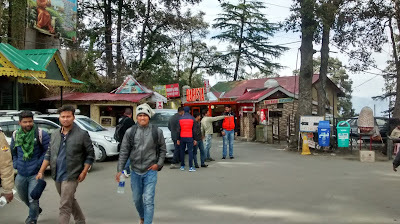 There are a few Dhabas and restaurants run in hotels. Best time to visit Chitkul is from March to October, which are considered to be the summer months. But even during these months, thick woolens are recommended. So what are you thinking? Just go and be one with the nature.